Also one bed to relax even more. Our vertical lamp means that there are no pressure points. 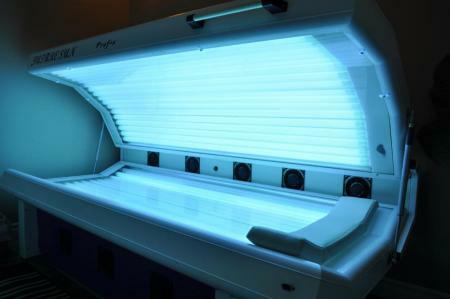 What is more, it works twice as fast as traditional tanning lamps. You get a uniform tan in less time, and you remain standing ! It’s great ! Must be 19 years old.